A Connecticut woman devised what she thought would be a smart tactic- committing crimes by pretending to be a person unlikely to be suspected of doing illegal things- a nun. But the woman’s month-long crime spree is over as she has been busted, arrested and will soon be in jail. 20-year-old Swahilys Pedraza-Rodriguez was sentenced to a 15-month prison time on Thursday. Rodriguez pleaded guilty in June to robbing a bank in Garfield, New Jersey with another female accomplice where they disguised as nuns. The pair wore a head covering and conspired to steal money from an ATM located at a Scotrun, Pennsylvania bank. They were also armed with black guns then to match their nun outfits. Rodriguez’s accomplice, identified as 24-year-old Melissa Aquino Arias of Passaic, New Jersey received a 37-month sentence on Wednesday. It is likely that Rodriguez, from New Haven, received a shorter sentence than Arias because she pleaded guilty. 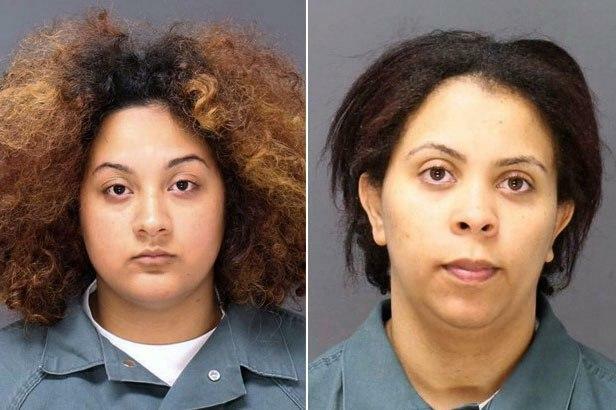 The nun-pretending women during their criminal activities were arrested in October last year, almost two weeks after their brazen Garfield robbery, when they went to a Teaneck bank and inquired about opening an account. An alert employee recognized them and called the police immediately. The FBI after the crimes were committed posted surveillance photos on Twitter of the pair. It is likely that the quick-thinking employee recognized the pair from such photos. It is not clear if they intended to carry out another robbery attempt at the time they were finally busted.